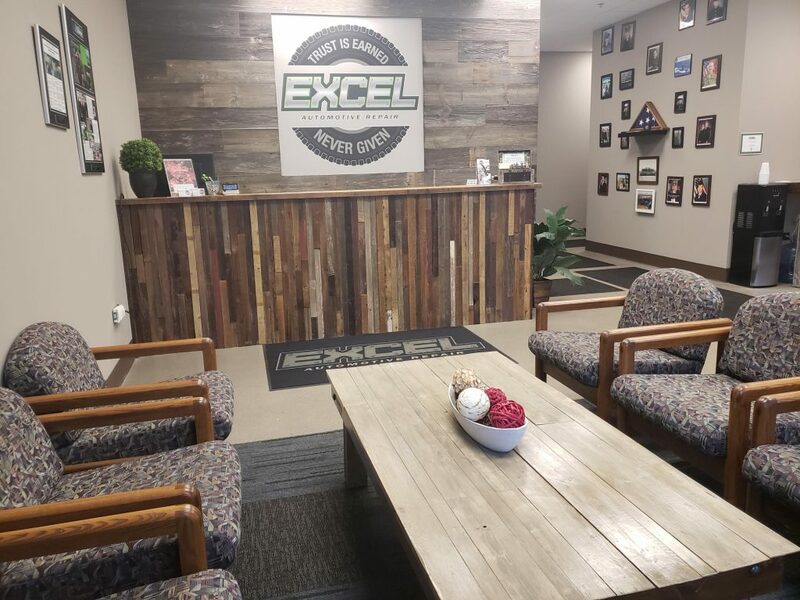 Welcome to Excel Automotive Repair! Experience the best automotive repair service you’ll ever have! 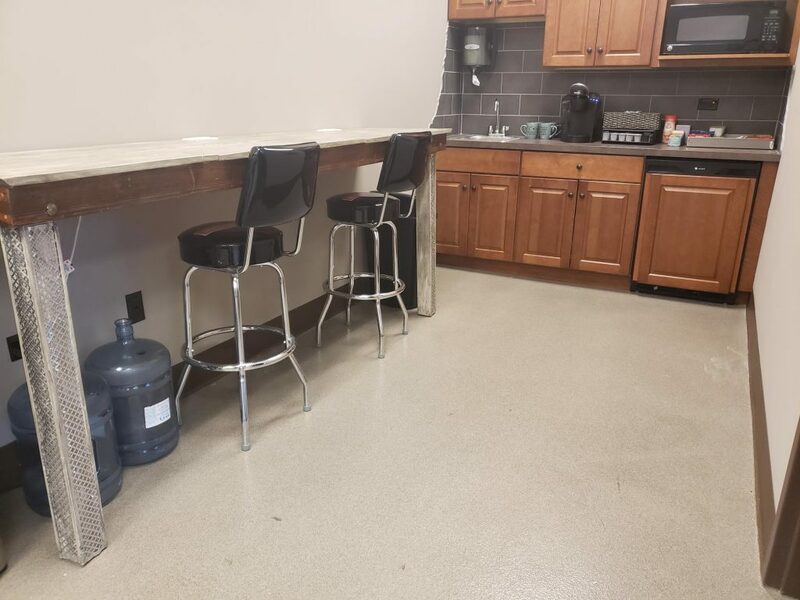 Excel has transformed the iconic sketchy, grungy experience of an auto shop to reliable, comforting and enjoyable. Praised by all of their customers, Excel has earned the title of being the most trustworthy shop in the area. Come into Excel Automotive Repair to see and experience what everyone is raving about! 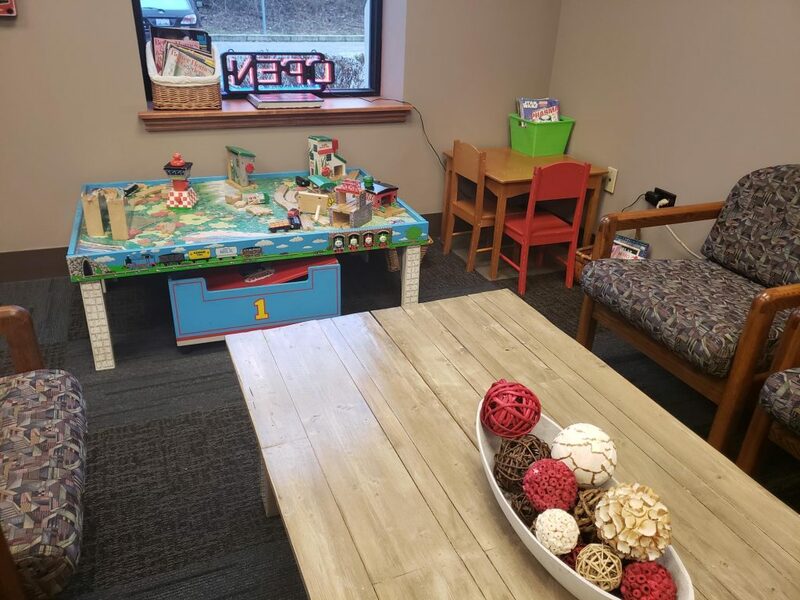 It could be our relaxing waiting room, free coffee, free WIFI or our kids play room (we love our little Thomas train set). 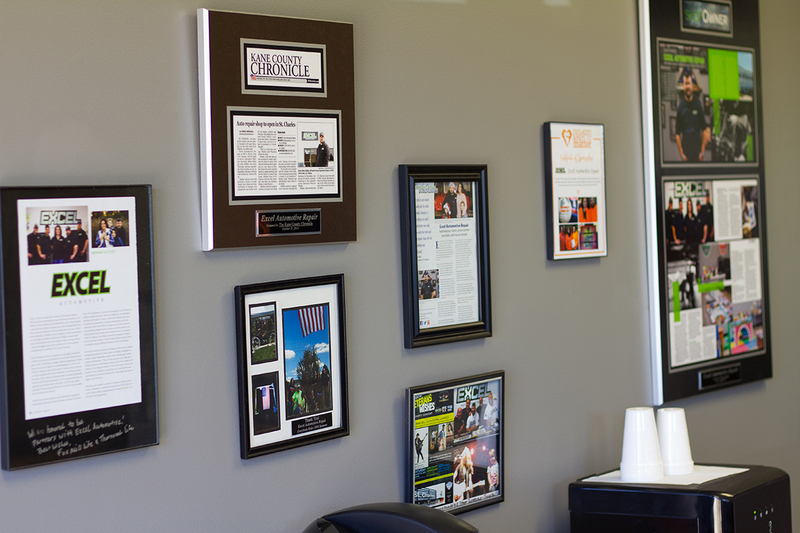 Maybe it’s our veteran wall to honor local veterans of the armed forces. 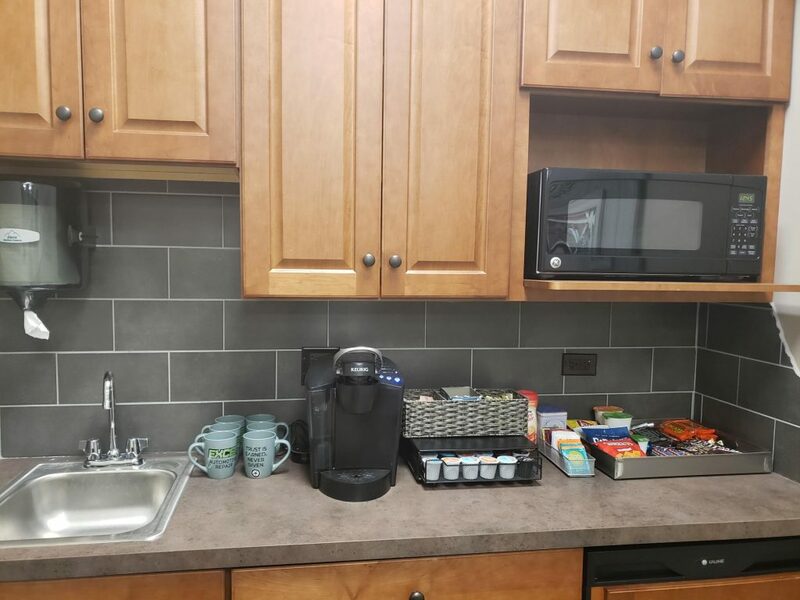 What we do know is that every time you walk through our doors you’ll receive top-notch service. Our proven customer service process will ensure you are treated with honesty, respect, know what’s happening and why it’s happening at all times. – We take the time to listen to you and get to know you and your vehicle. – We diagnose and explain exactly what needs to be done. We also understand that not everyone is a car person. Our Virtual Vehicle system lets you see where the issues are and why they are important to fix using a 3d model of your vehicle. – We keep you informed during the whole process. If you don’t want to wait in the waiting areas, we will call you with updates. The future of auto repair is customer focused service, clear communication and a clean environment.